Have limited space? Then think about smaller trampoline! If you’re thinking of buying a trampoline and want to use it in limited space, then consider getting yourself 12ft trampolines. This is ideal for your backyard as this won’t take up much space. This is something which everyone in your family will surely enjoy. Now, you can spend more time with your family and can also be a good form of exercise. Brief history: Trampoline was derived from the Spanish word “trampolin” which means diving board. It was first developed by George Nissen and Larry Griswold. Both men were gymnasts from the University of Iowa. It was in the year 1934 when the modern trampoline was developed. Before you buy that 12ft trampoline that you have been watching lately, you have to consider a few things first – You have to consider who will be using it, what purpose the trampoline would serve, what its specifications are, its quality, and included safety features. Who Will Use It And What Is It For? A trampoline that is of good quality should be made of high-grade materials. 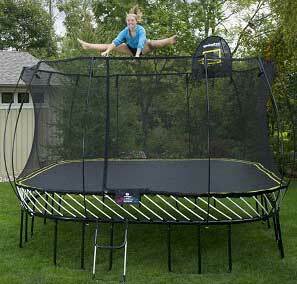 A 12-feet trampoline should have at least 80 pieces of 7.5-inch springs to be able to provide good bounce. 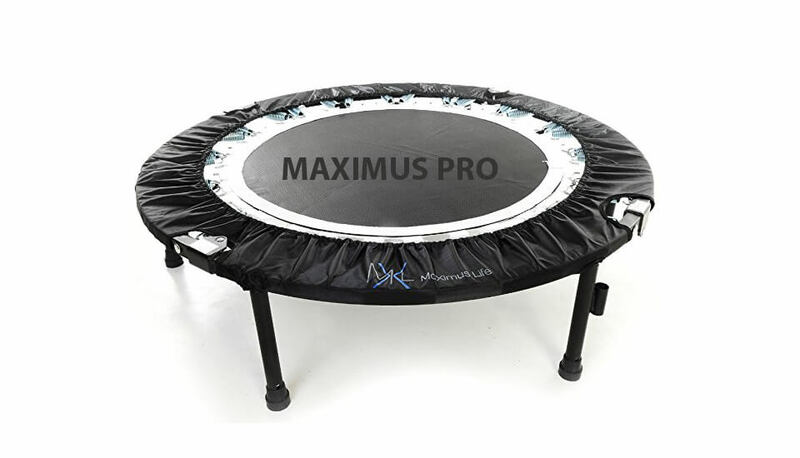 You can check for other details like the materials used for the mat and the trampoline’s frame. Ideally, the bars used for the frame should be galvanized (rust-proof) while the mat should have at least 6 rows of stitching. Reliable trampoline manufacturers include a 12ft trampoline enclosure with the trampolines that they produce. A trampoline enclosure is a net that will surround the borders of a trampoline in order to prevent possibilities of falling over it. 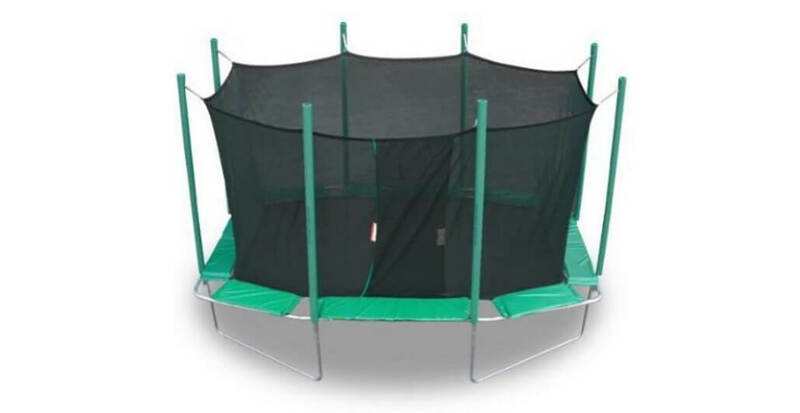 If an enclosure is not included however, you could still purchase a generic one separately and it would still fit your existing trampoline perfectly. Some also include a 12ft trampoline pad as a bonus, and will serve the purpose of breaking falls that may occur if an enclosure isn’t used. It is basically a cushion that covers the immediate surroundings of a trampoline, so that if in case falls do occur, the fall would not be that hard and as dangerous. 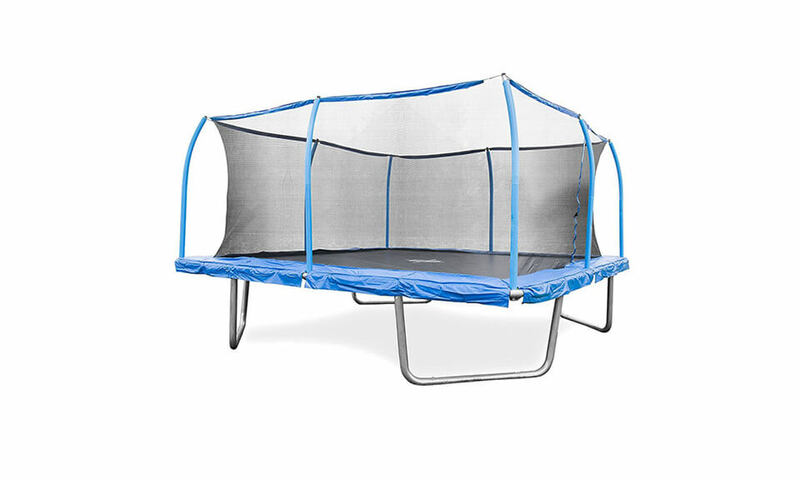 On average, a 12ft trampoline costs anything between $250 and $600. It doesn’t necessarily mean that the more expensive one would be better than the cheaper alternatives though. This is why it is necessary to follow all guidelines before purchasing a trampoline. Be sure to check our reviews before you buy it. It could save you a lot of worries. Where to buy a trampoline? You can also purchase online with a variety of options available. 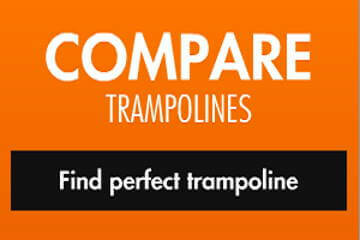 Compare various trampolines from various manufacturers to determine which one is best for you. 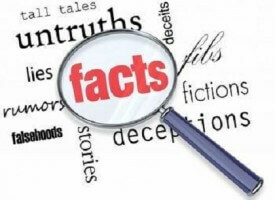 Know its benefits as well as its disadvantages. You don’t want to end up purchasing a trampoline which you can’t use. This will just be a waste of money so you should be more careful when choosing a trampoline. 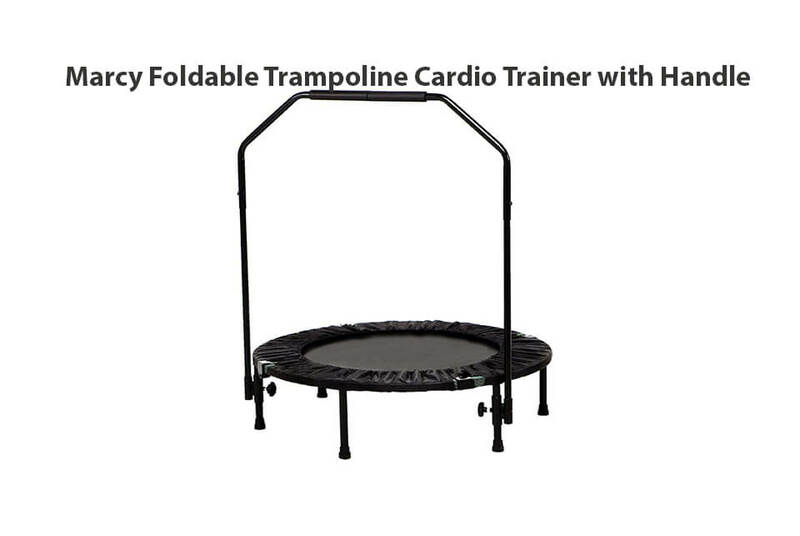 Remember: Always try to find trampoline on discount or on clearance sale! Buying a 12-feet trampoline is not enough if you don’t get an enclosure with it. A trampoline, whatever it`s size may be, should always be bought together with a same-manufacturer enclosure. 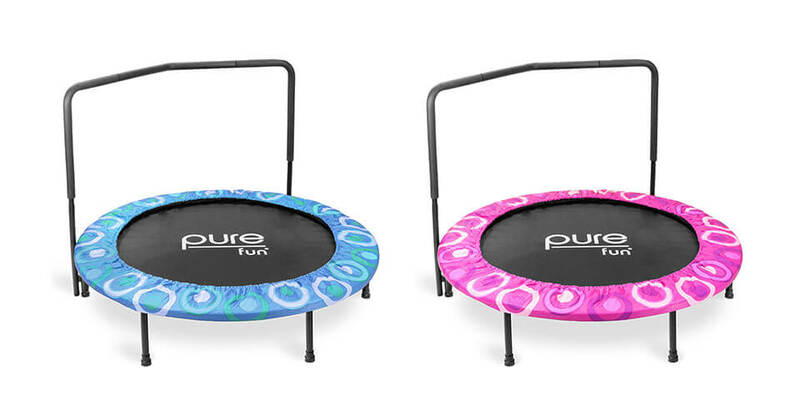 If this isn’t possible because a manufacturer doesn’t always include enclosures with their trampolines, then you could always buy a generic one that will fit whatever brand. All you have to remember is to buy the same size as your trampoline. Safety is a priority in buying anything that your family will use. 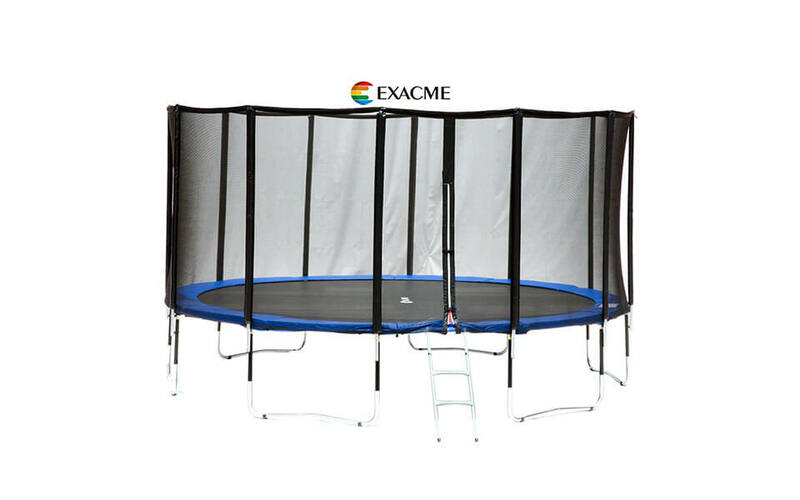 With this thought in mind, the best purchase that you could make is a trampoline that comes with an enclosure – like a 12ft trampoline with enclosure. Trampoline manufacturers that are dedicated and committed in ensuring the safety of their consumers will take the time to craft enclosures that are exceptionally made for each trampoline that they make. Because of the safety precaution by which an enclosure functions, trampolines with enclosure are surely safer for use than without them. 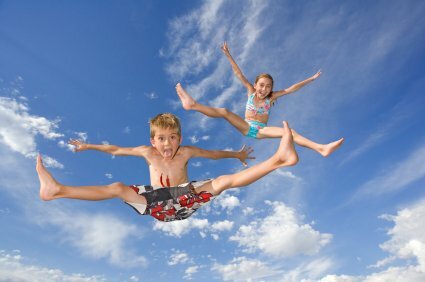 So When child jumps, you wouldn’t have to worry that they might fall out of trampoline. 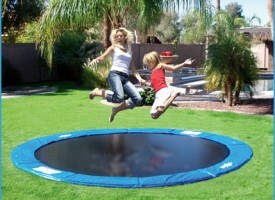 A common accident among trampoline users is when the trampoline mat gives in while jumping on it, causing them to go through. With pads underneath the trampoline, the extent of injury associated with this accident could be minimized. Read more about “Safety concerns on trampolines“! Never buy a trampoline without worries about jumpers safety! So when you buy a trampoline, make sure that a trampoline enclosure comes with it. If not, then make sure to buy one separately. Check our Reviews of 12ft Trampolines! Vuly Thunder 12ft Round – expensive but well worth of it. Skywalker 12ft Round – cost friendly trampoline. JumpSport 12ft PowerBounce – extraordinary bounce.